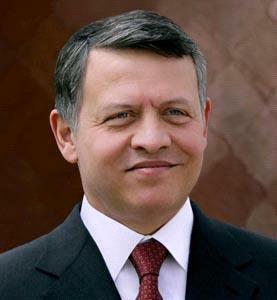 AMMONNEWS - His Majesty King Abdullah II's meeting with president and members of Jordan Press Association (JPA) on Wednesday highlighted a number of issues related to media and domestic affairs, in addition to current developments on the regional and international arenas. His Majesty said Jordan is pushing ahead with the process of reform and stressed the need to assess and develop electoral and parties laws to ensure wider participation in the decision-making process and to enable Jordanian youth to contribute more to development. The King also underscored the role of professional media in addressing national issues and in enhancing participation in the debate over them. During the meeting held at al-Husseiniya Palace, His Majesty said the Kingdom is facing economic challenges, but it is capable of overcoming them, and underlined the importance of the media's involvement in highlighting achievements and in exercising its monitoring role. His Majesty stressed the importance of the media's role in presenting facts to citizens, in light of the spread of fabricated news and said state institutions are requested to provide information to journalists so that the citizen will not remain subject to rumors. His Majesty also stressed the importance of the media's role in confronting extremism and shielding young people from "the dark thought" that contradicts the noble principles of Islam. The discussions also touched on the King's participation in the UN General Assembly meeting in New York, as His Majesty said he will meet with heads of states and delegations participating in the meetings to discuss issues of interest to Jordan, as well as the Palestinian issue and the support of the United Nations Relief and Works Agency for Palestine Refugees in the Near East (UNRWA). For his part, president of the JPA, Rakan Al-Saida, stressed the association's keenness to promote the profession and contribute to the delivery of the media message that serves Jordan and its interests, stressing the importance of maintaining contact between state institutions and journalists to provide the correct information and to enable them to counter rumors. Al-Saida also stressed the importance of empowering the media and developing the skills of journalists to deal with social networking platforms, so as to be more influential players in the public opinion. Members of the association talked about a number of issues related to the media and stressed the importance of facilitating access to information, in an effective way to deal with fabricated news, as well as keeping in pace with developments in modern media. Chief of the Royal Court and the Advisor to the King, Director of His Majesty's Office, attended the meeting.